Designed by Jean-Marie Massaud. A series of rectangular and round tables with tops in transparent extra light or smoked glass, 12mm thick and chamfered and tempered. 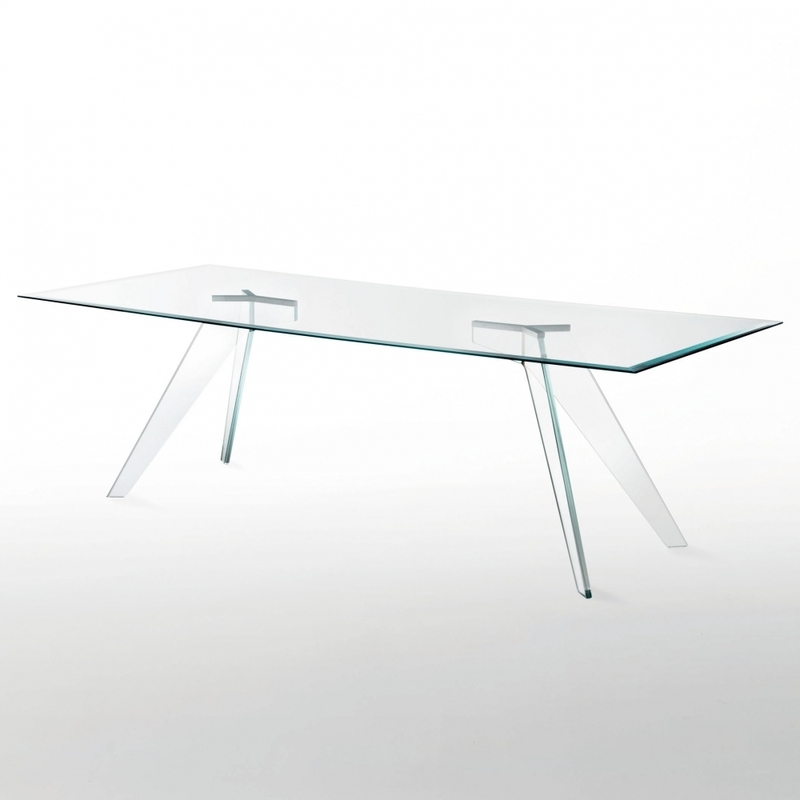 The bases are in transparent extra light or smoked laminated glass 10+10 mm, created using a complex manufacturing process of grinding, chamfering and gluing. They are fixed to the top with steel plates.